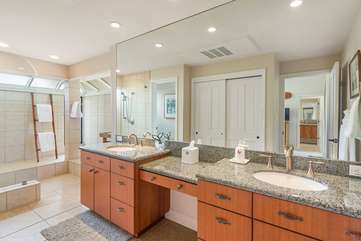 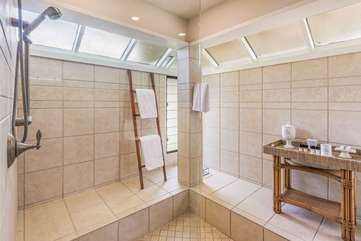 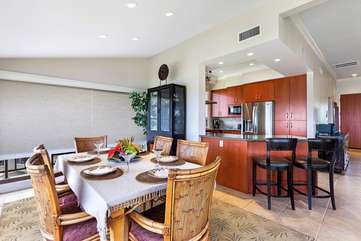 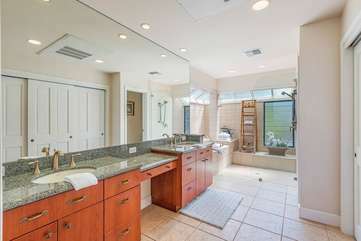 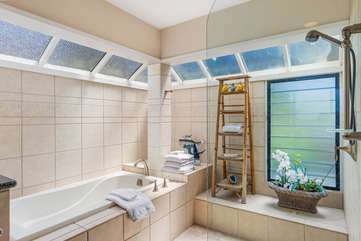 One level 1600+ sq ft villa has not a single stair and has been remodeled and redecorated to Gold (5 Star) Standard. 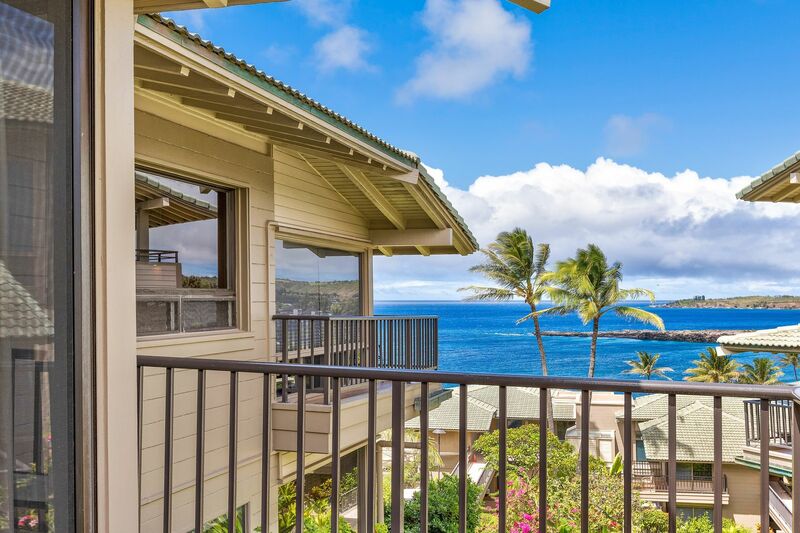 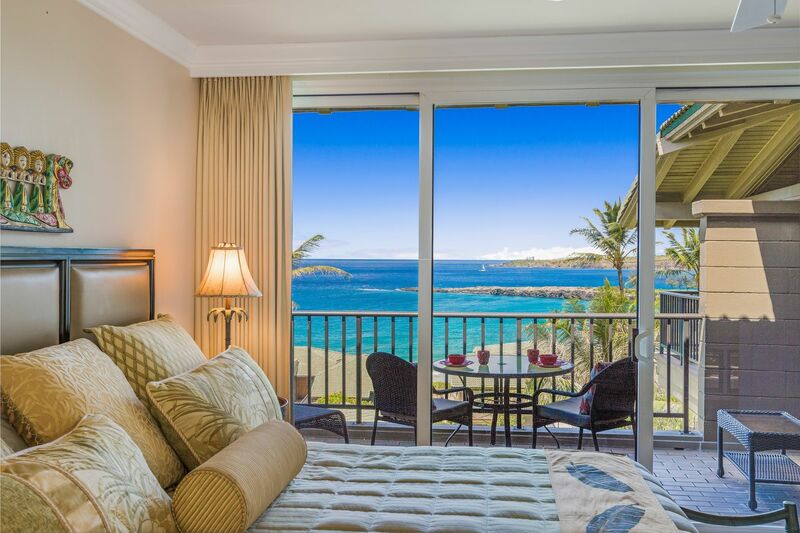 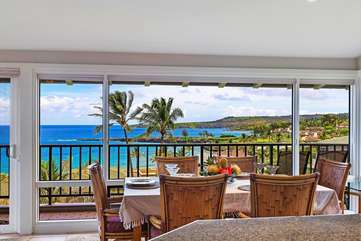 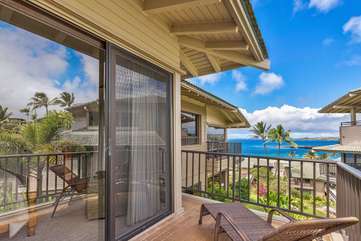 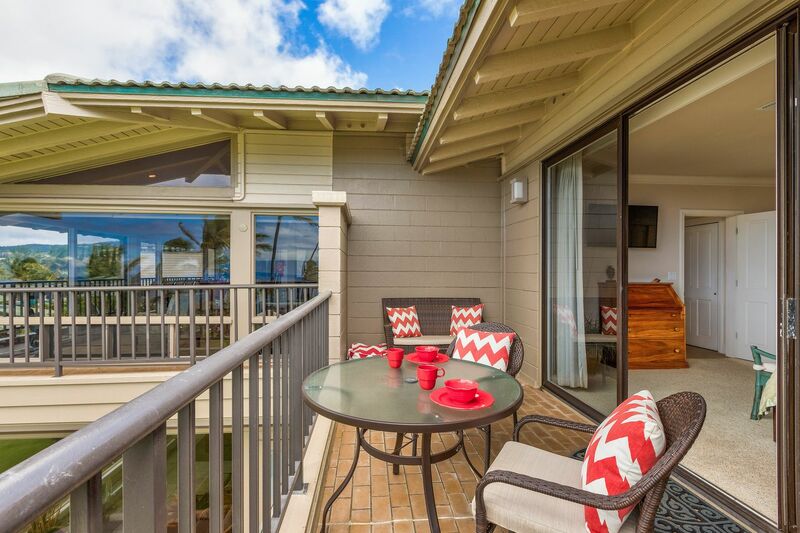 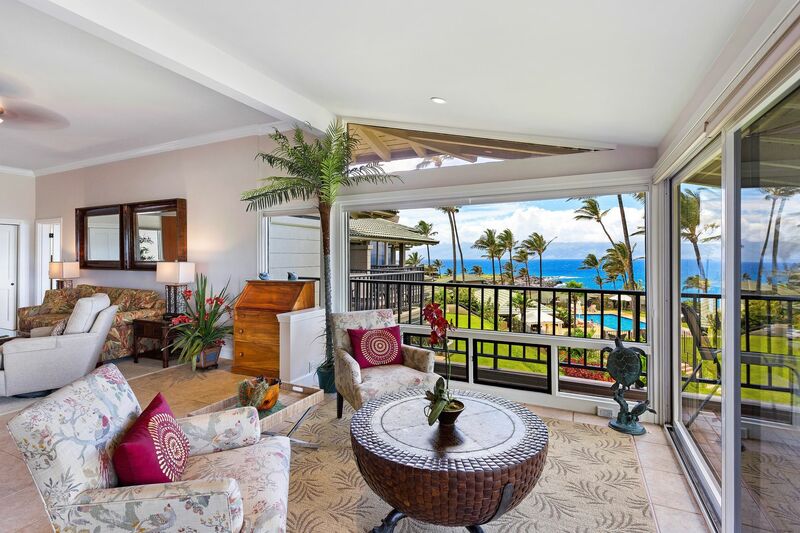 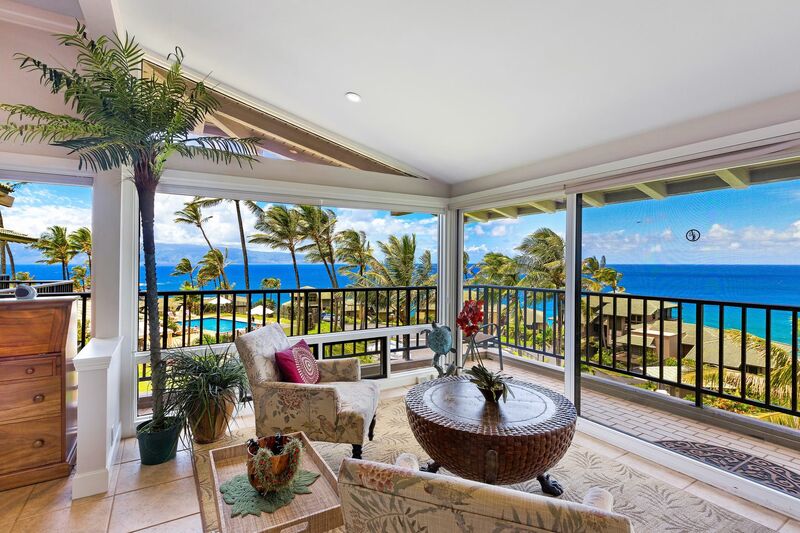 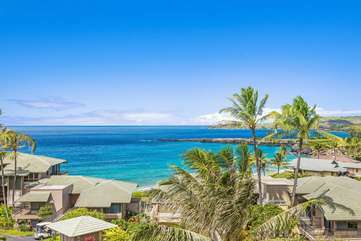 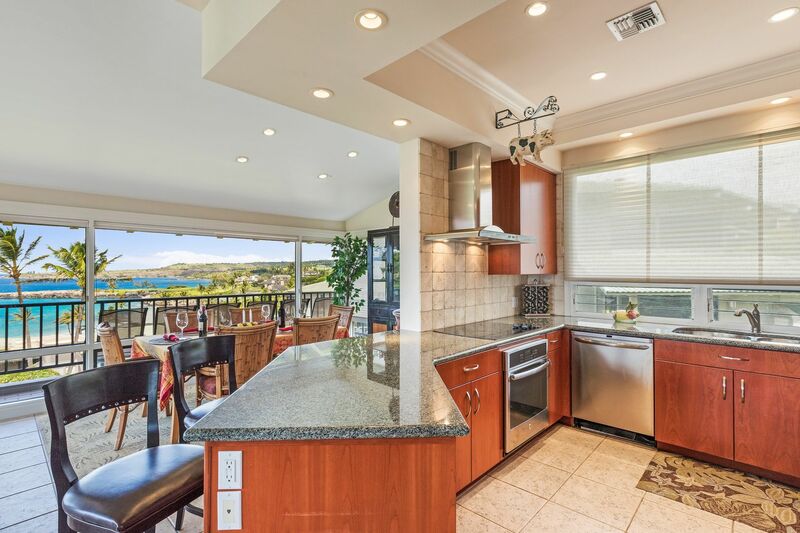 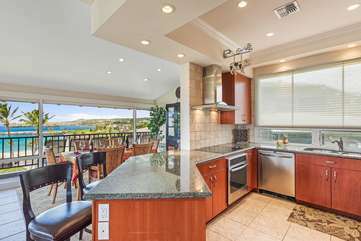 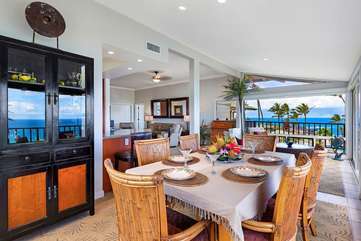 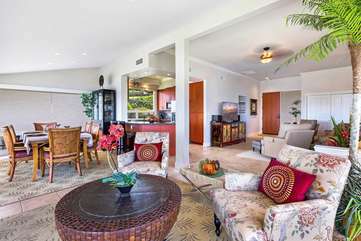 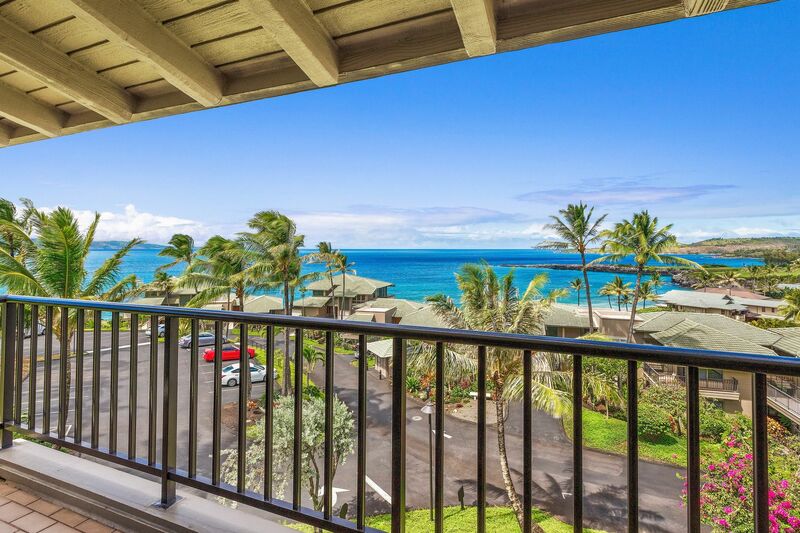 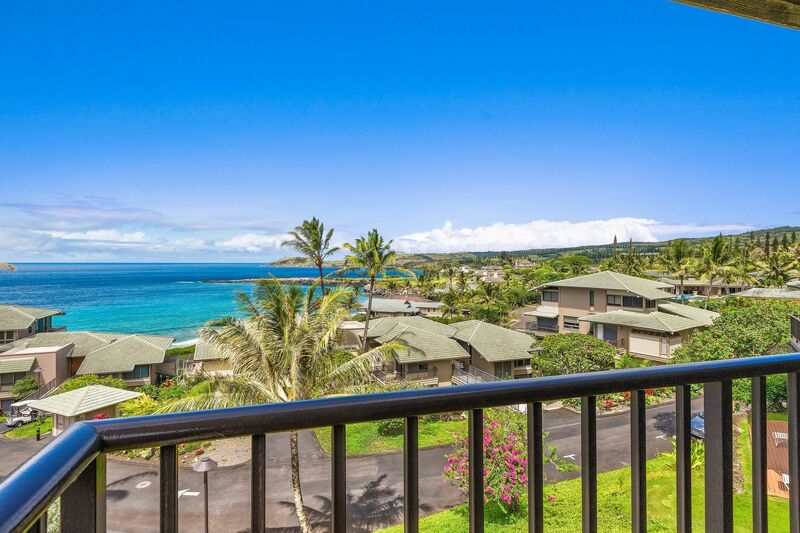 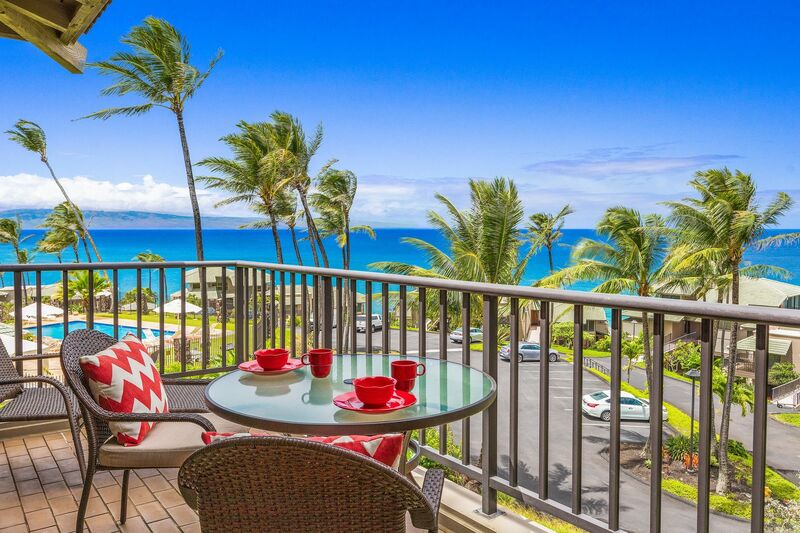 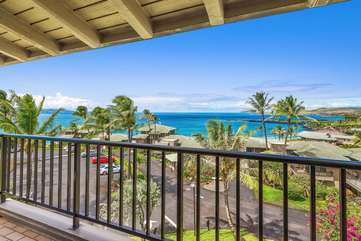 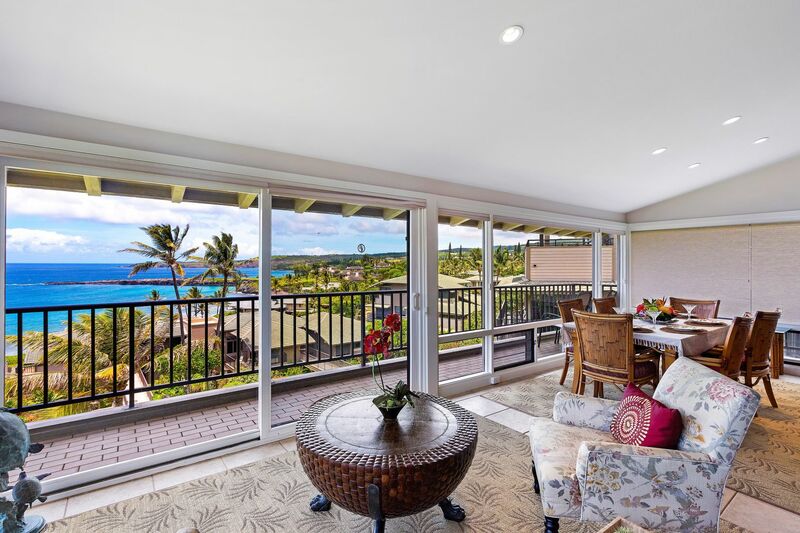 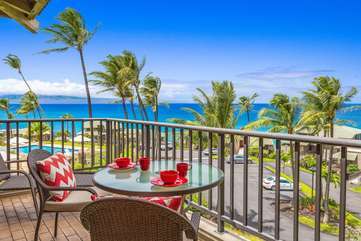 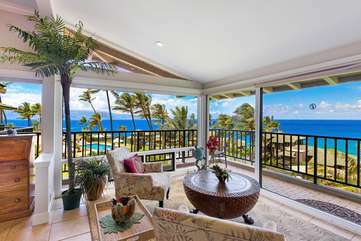 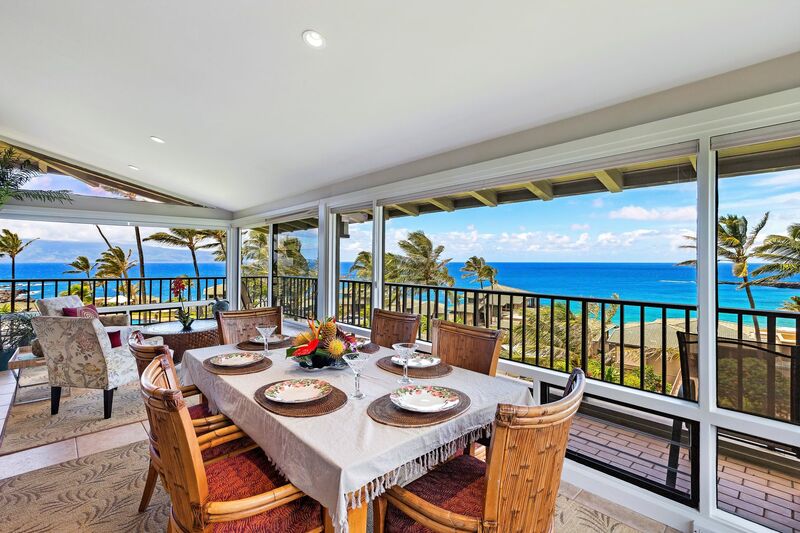 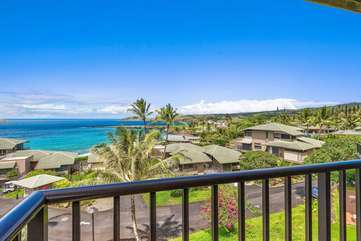 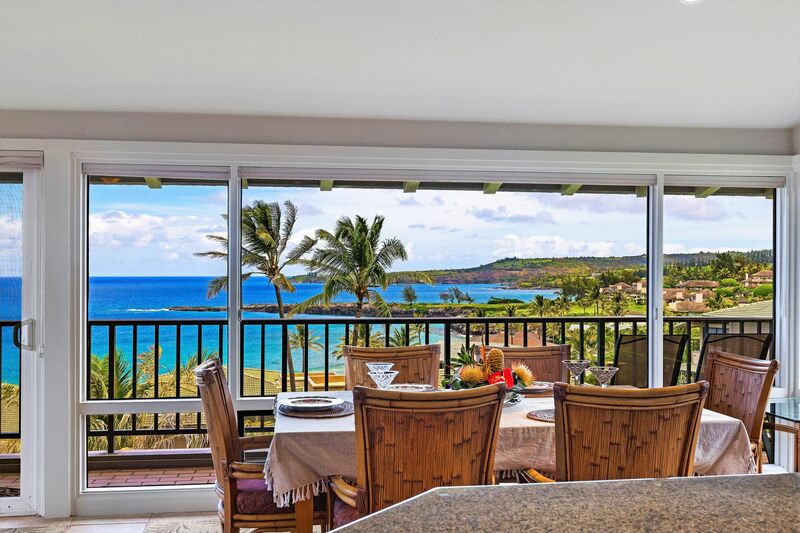 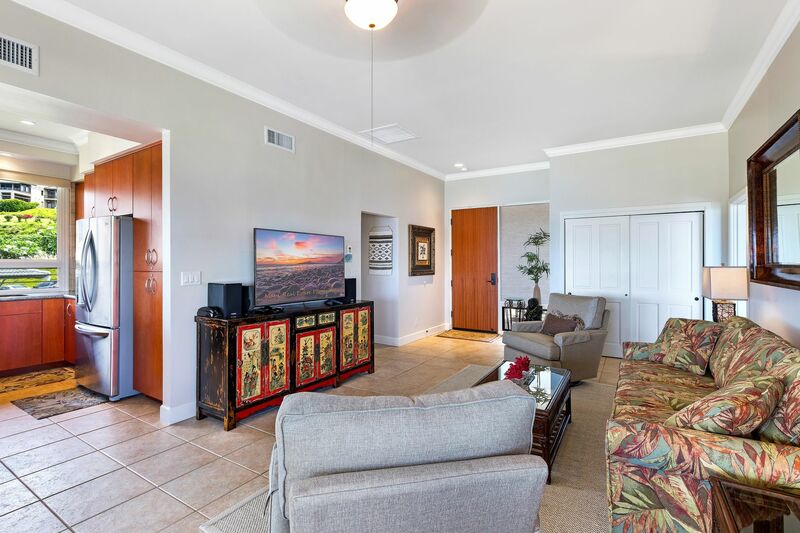 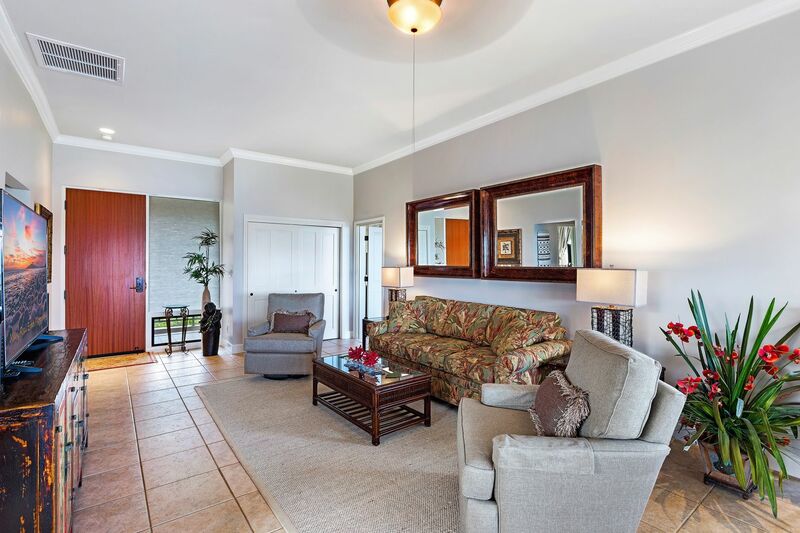 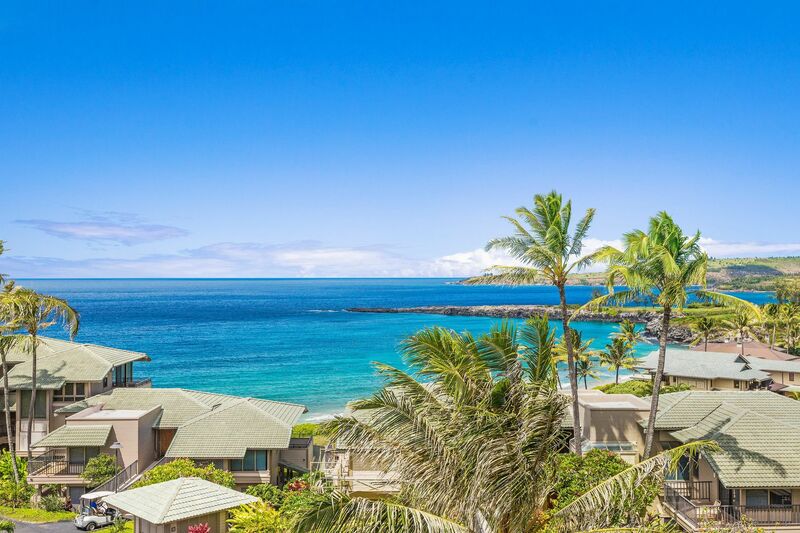 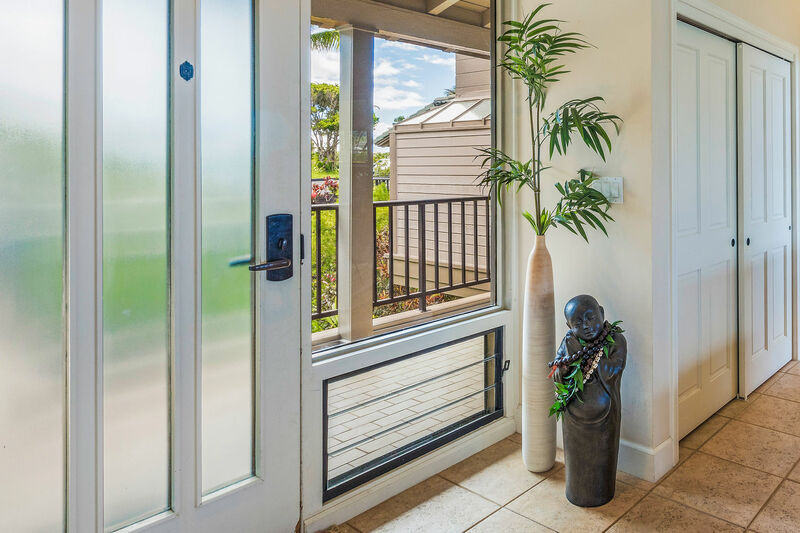 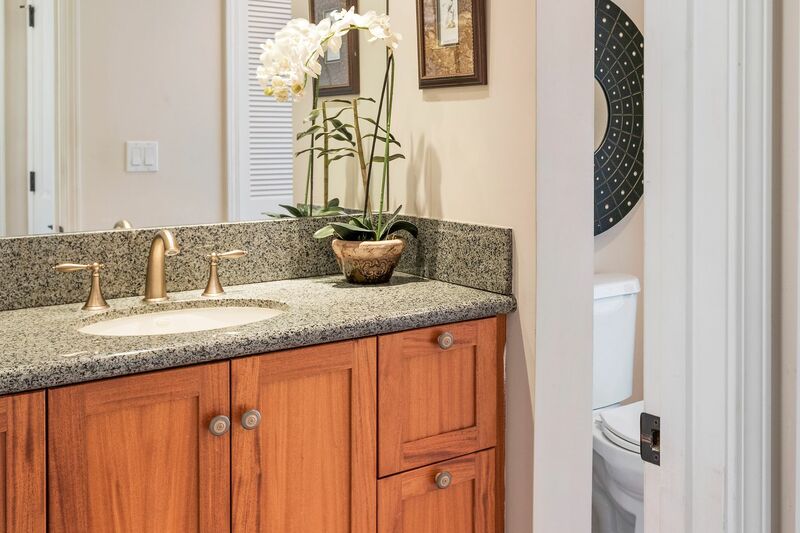 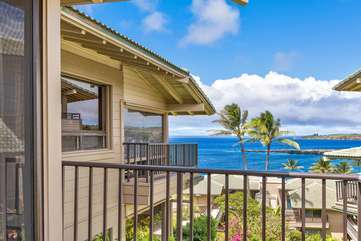 Stunning views of Kapalua coastline and ocean. 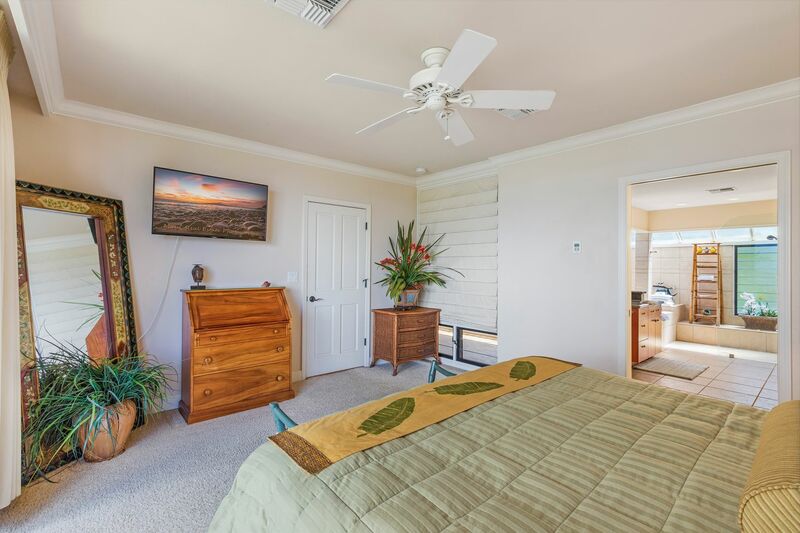 Two spacious master suites with en suite baths, a powder room, washer/dryer in villa, full well equipped kitchen, TV and cable in every room, great room w/ living room, dining room and office/lounge area. 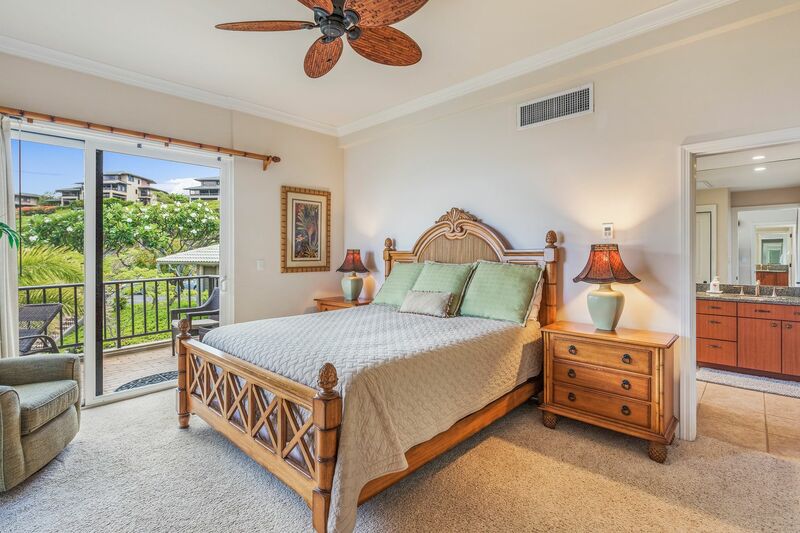 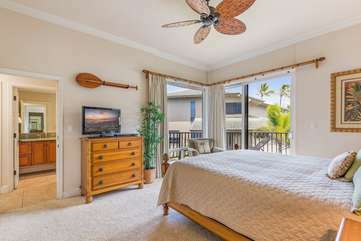 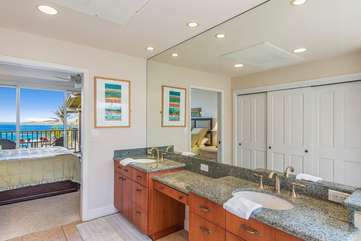 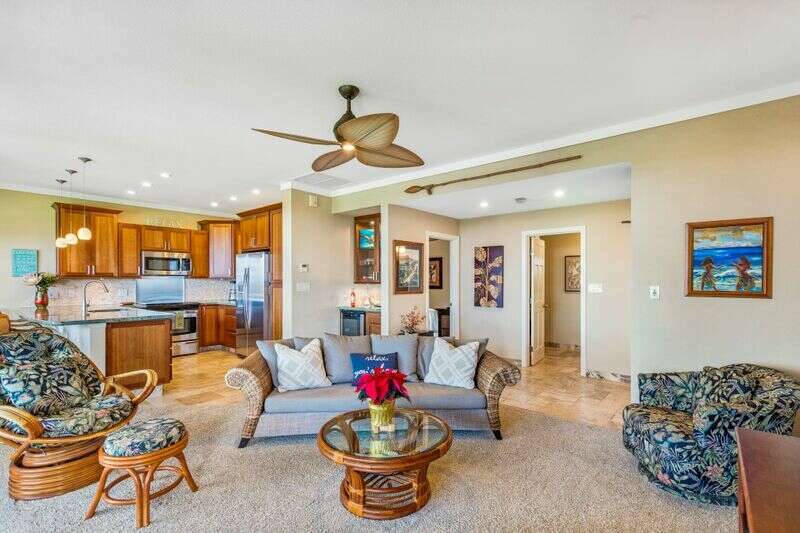 Picture perfect private lanai areas off each master bedroom. 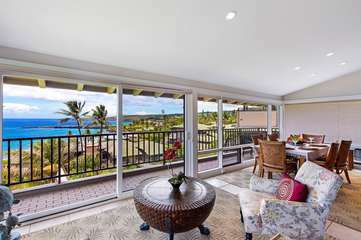 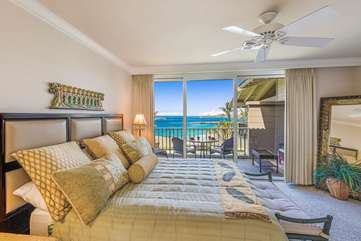 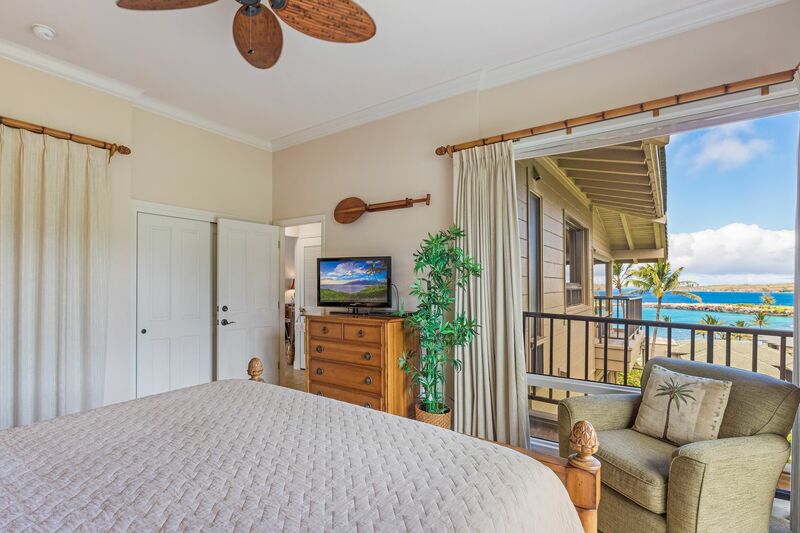 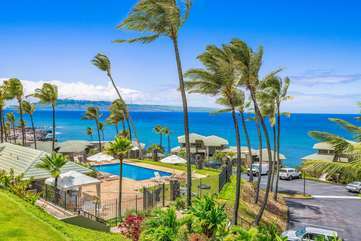 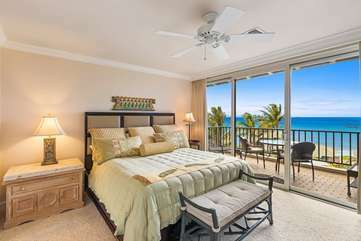 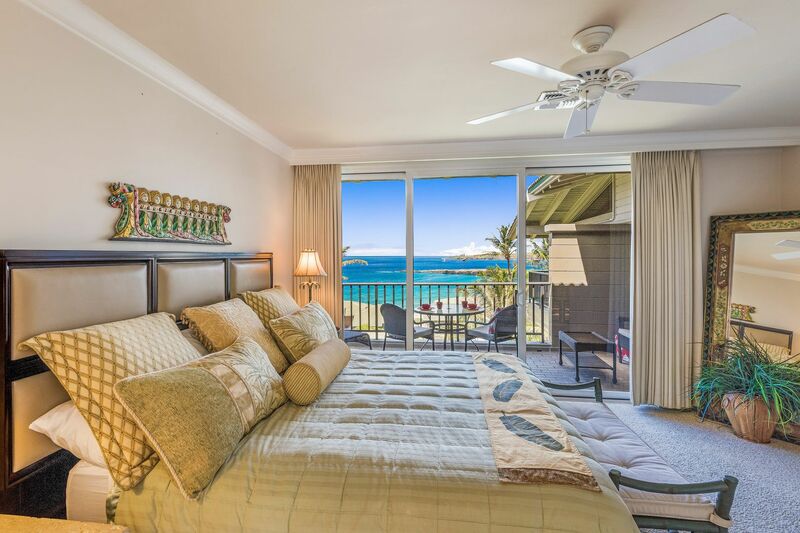 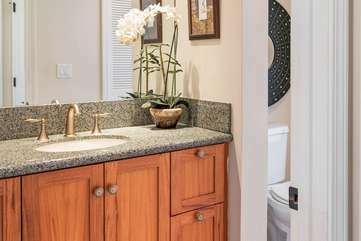 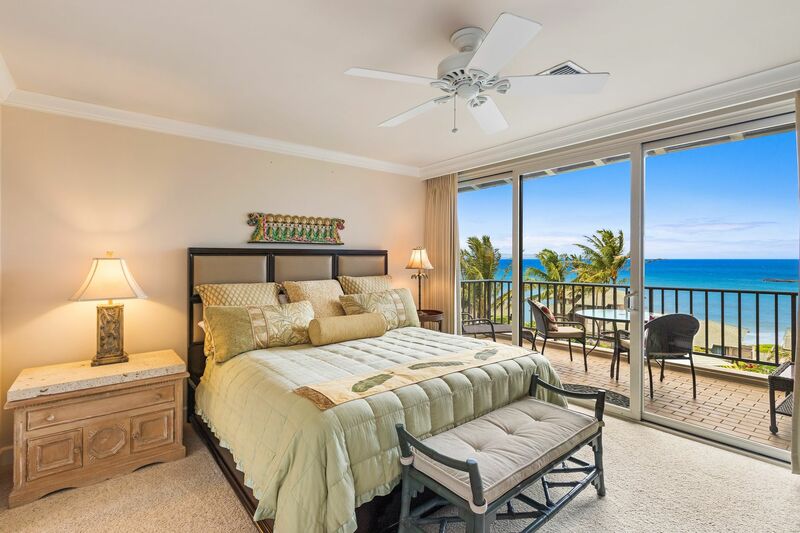 Sumptuous linens, upscale furnishings, minutes to beaches, Montage's award winning spa and fitness, free shuttle door to door anywhere in Kapalua resort, Merriman's Pineapple Grill, Taverna, Pour House, Sansei, Kai, Taverna, the Ritz Carlton Terrace, and ABC store within the resort. 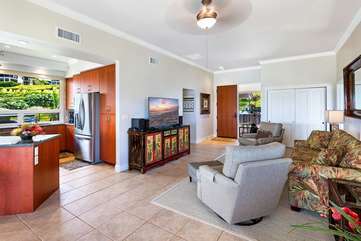 Grocery store and additional restaurants five minutes away. 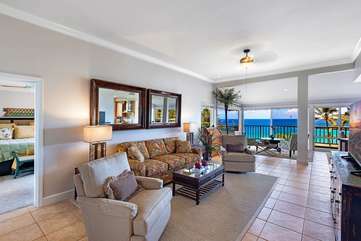 Three different pools for the exclusive use of Bay Villa guests. 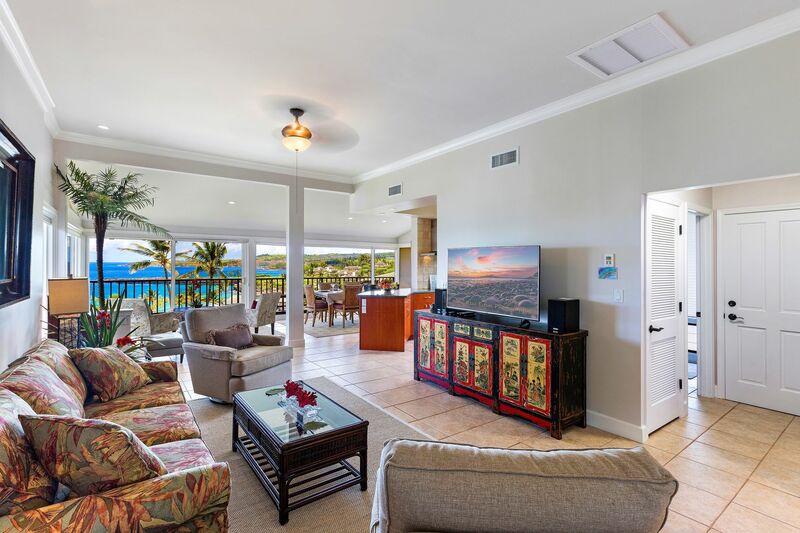 Newly refurbished tennis courts, concierge activity bookings, discount golf and more. 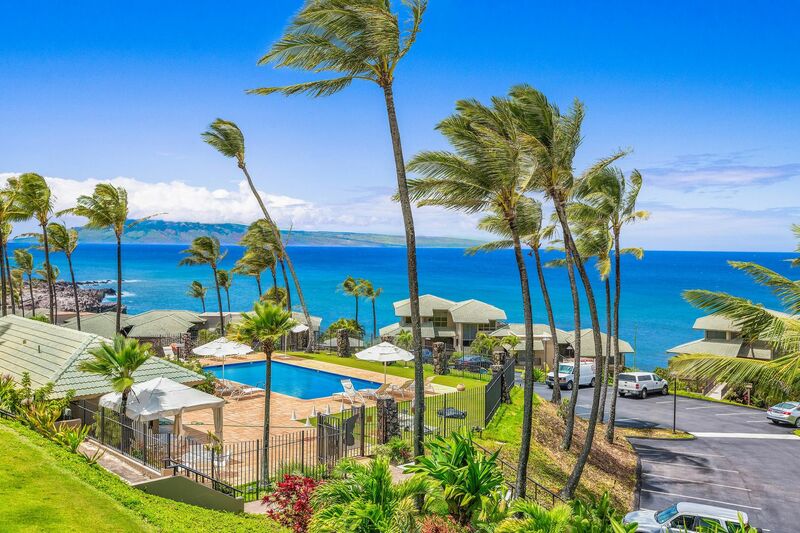 ~ Parking, Resort Shuttle & No Hidden Fees!